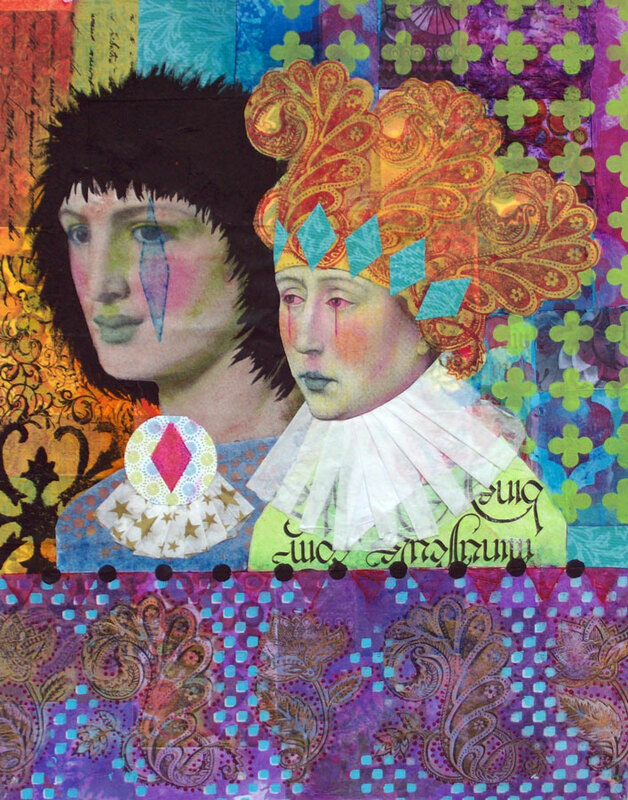 Hand dyed and painted silks and cottons, commercial fabrics, silk fusion paper, ink jet images, gel skins transfers, acrylic paint, fusible web, various threads, trim, beads. Free motion machine stitched, hand beaded. 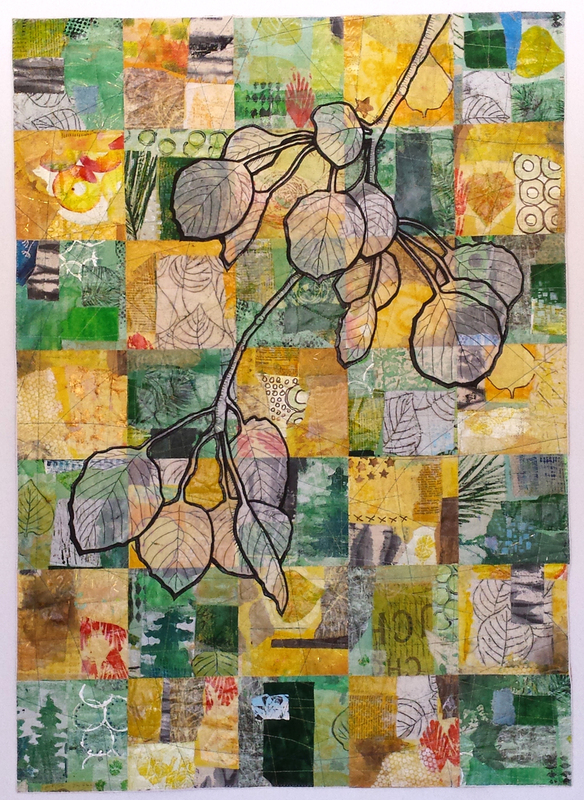 Painted canvas and silk, collaged papers, gold cord, dcrylic paint, gel medium, fusible web. Machine stitched. Blue for wide open skies reflected in deep mountain lakes. Orange for sandstone, sunsets, and wildfires. Purple for purple mountains majesty and wildflowers. Yellow and green for Colorado aspens and pine forests. Blue, yellow and green for wide open skies, aspens and pines. 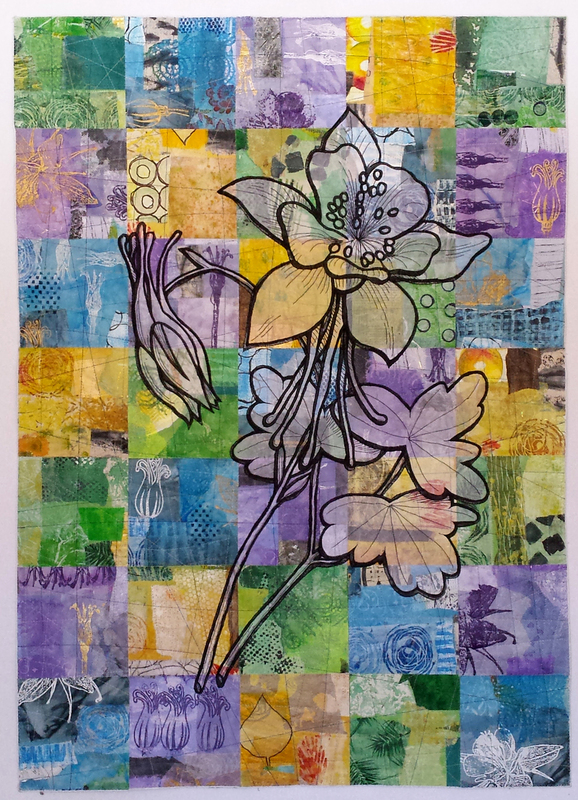 Purple for wildflowers, especially the Colorado Columbine. Hand painted cotton, silk, various synthetic fabrics, hand painted lace. Fused, machine quilted. 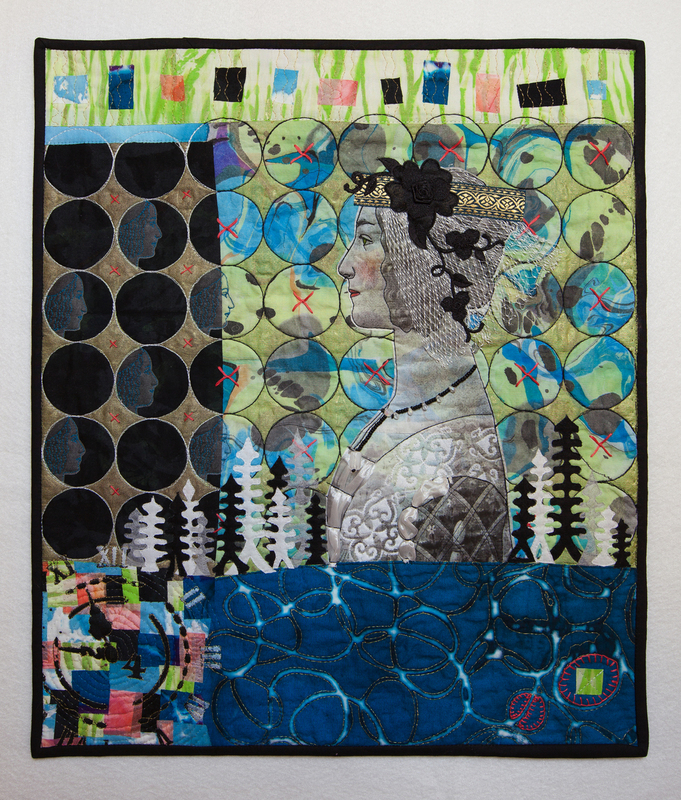 Paper, gesso, graphite, watercolor, china marker, acrylic paint, wool, cotton, miscellaneous fabrics. 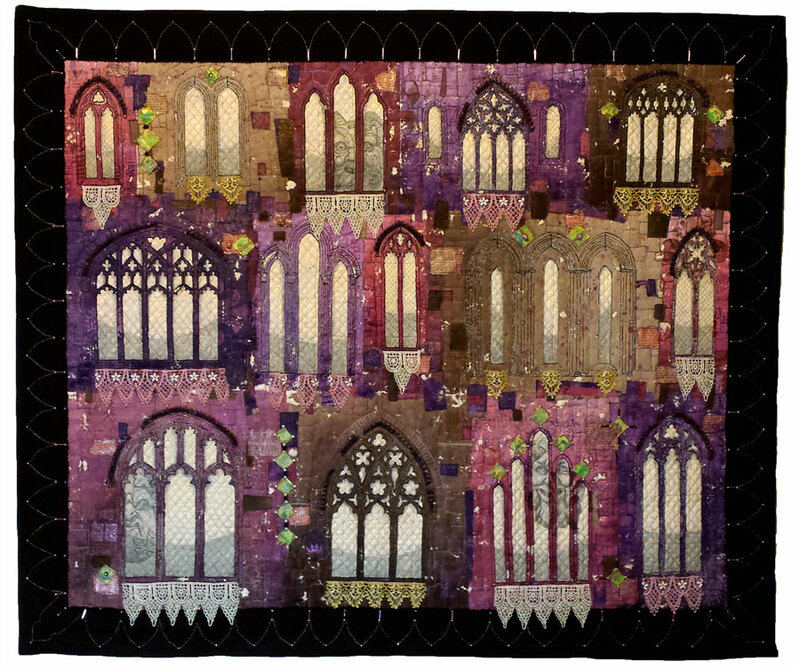 Fused, machine quilted. Various hand dyed and painted fabrics, silk, lutradur, acrylic paint. 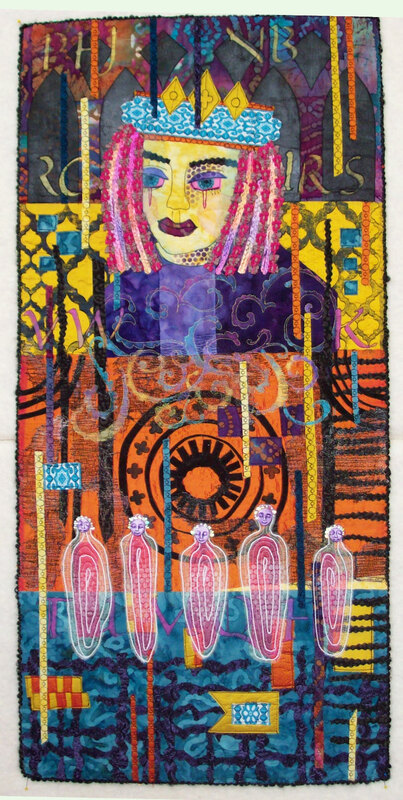 Fused, machine quilted, hand embroidered. 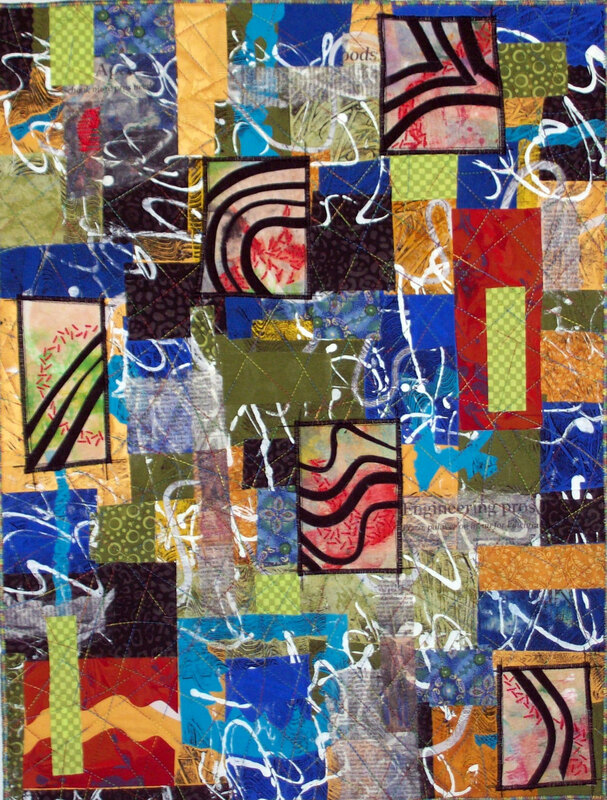 Various fabrics, manila envelopes, monoprinted with acrylic paint, machine quilted, hand embroidered. Hand dyed cottons, silk, acrylic paint. Fused, machine quilted.